5 amps (25W) combined maximum output. Type C 5V up to 3.0A. Type A 5V up to 2.5A. 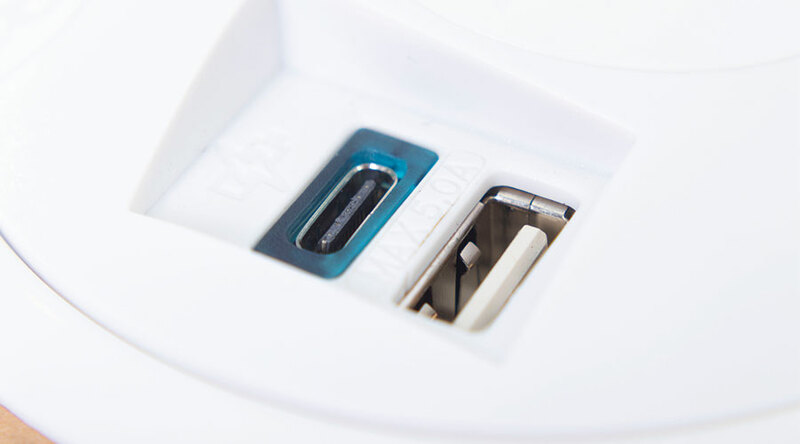 The Type C connector is now being adopted by all the major manufacturers of mobile devices (phones, tablets, etc) and has already been incorporated into many laptops. 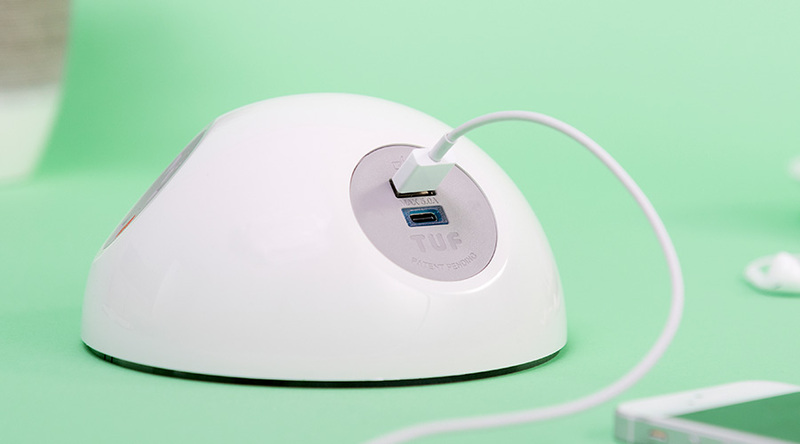 This is not only because of its small form factor and the fact that it is reversible, making it simpler and easier to use, but also because it enables significantly faster charging than was possible with the USB Type A connector. 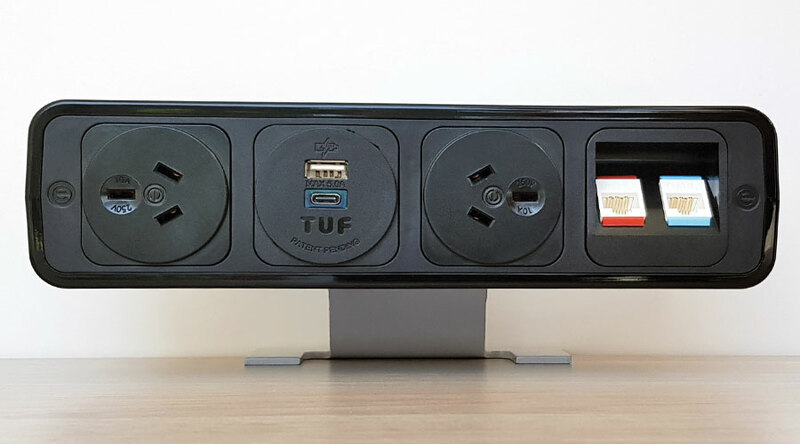 The TUF A+C USB fast charger from OE Elsafe provides both the new USB-C port, for advanced charging of compatible devices, plus a USB-A for charging legacy devices – suiting users with any powered device. Delivering 5A of power across two USB ports TUF A+C can simultaneously charge two of your devices at speeds comparable to or faster than your devices’ own chargers. TUF A+C utilises IDR (Intelligent Device Recognition) enabling it to ‘talk’ to your devices ensuring optimum charging rates. TUF by name and tough by nature; TUF A+C is designed to withstand the elements of a commercial environment with commercial grade connectors for over 10000 insertions. 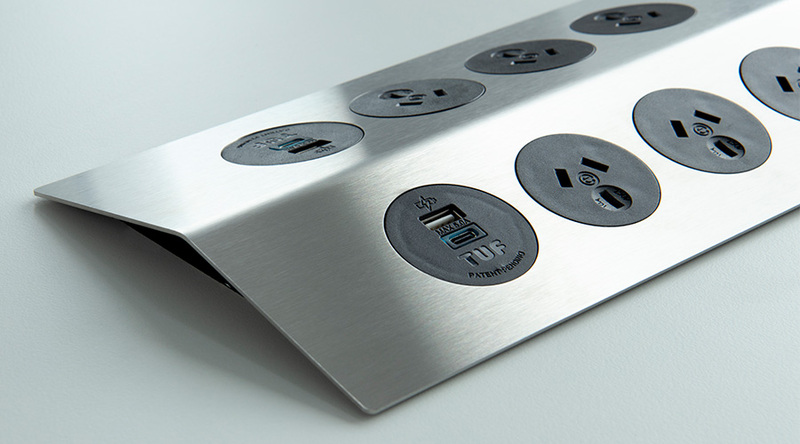 This makes TUF A+C ideally suited to high usage public areas, hotels, education and offices. TUF A+C circuitry includes protection against both input and output current overload and has been independently tested to the latest International Safety and EMC standards. Through innovative engineering TUF A+C boasts an exceptional efficiency of 91% ensuring you a full 5A of power for charging. This allows you to charge your devices faster, with far less power wastage through heat generation and complies with the latest international standards on the efficiency of power supplies. 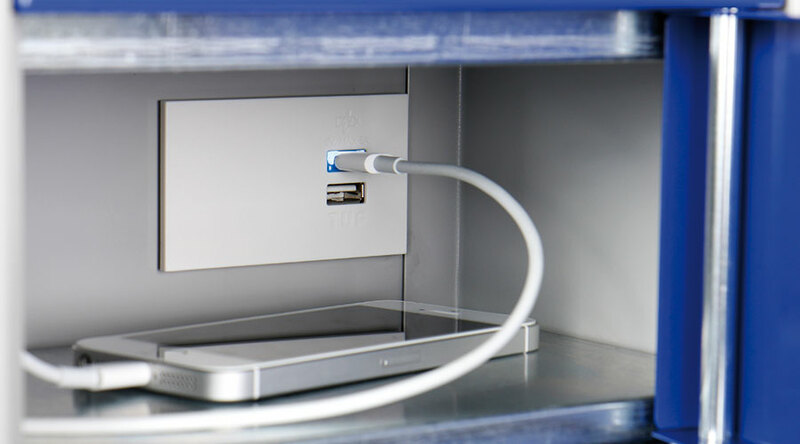 Within the many different sectors that OE Elsafe supply, they all require, to some degree, a freedom to charge mobile devices in easily accessible places. TUF A+C provides the perfect solution, not only does it allow fast intelligent charging to any mobile device, but can be built into the majority of our power modules. TUF A+C can be fitted into desks, meeting tables, lockers, cafe tables, common rooms, bedrooms, hotel receptions, hospital rooms, trains, planes, lecture theatres, even into the sides of an armchair. And if you have ever considered designing your own power module, where ours may not suit, there is no better time – because we can help you integrate TUF A+C into your own OEM solution. This versatility allows TUF A+C to be available to anyone who needs it. TUF A+C is fully certified to Australian Standards ensuring peace of mind when specified into any commercial environment. 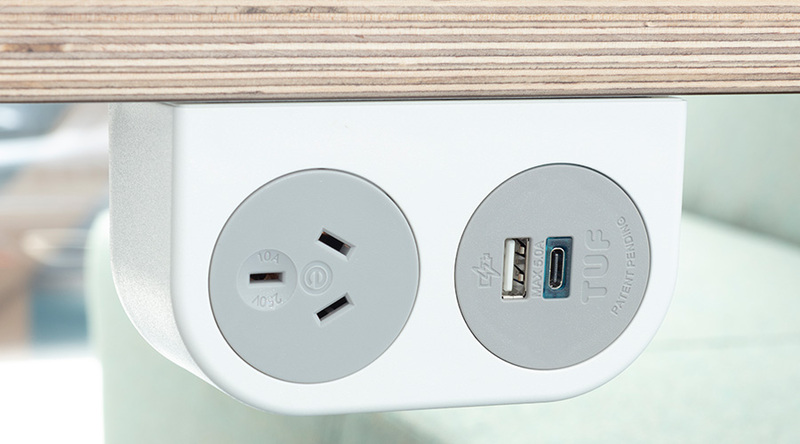 TUF A+C gives users the flexibility to charge anywhere anytime SAFELY!